Quality outcomes matter. Physicians can achieve enhanced outcomes by partnering with a dialysis provider that is committed to clinical excellence. With the ongoing shift from volume to value in healthcare, physicians—more than ever—are focusing their attention on generating optimal clinical outcomes in order to enhance patient quality of life. 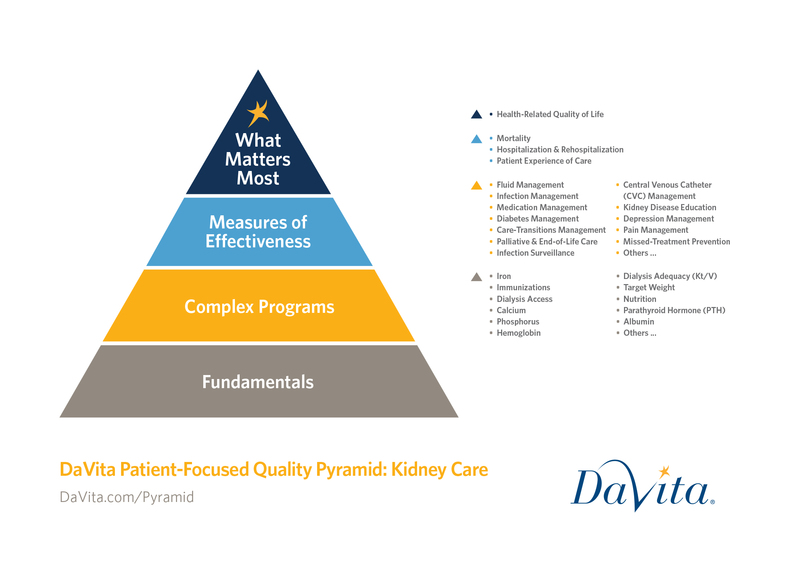 The extensive tools and initiatives that were built into the DaVita Patient-Focused Quality Pyramid (in collaboration with physicians, patients and industry thought leaders) help physicians succeed in this important undertaking. The pyramid serves as a framework for physicians to address the complex factors that impact patients, such as mortality, hospitalizations and the patient experience. 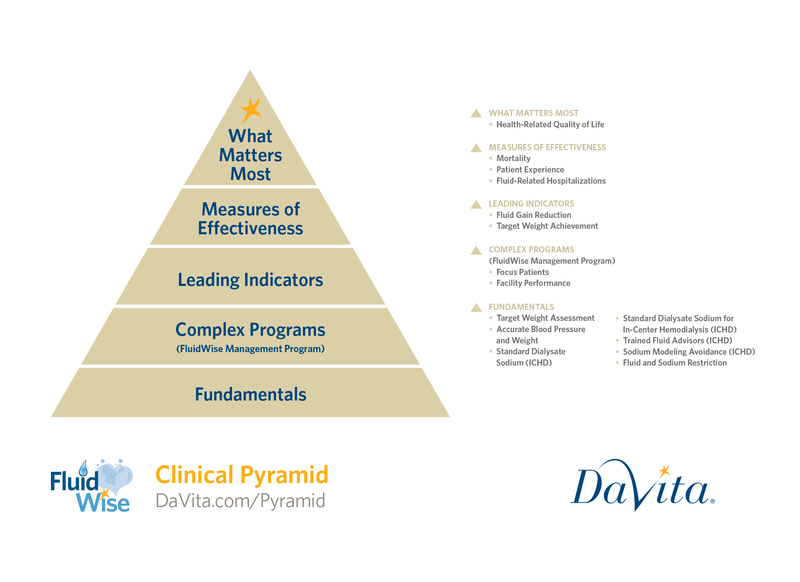 By using DaVita's Patient-Focused Quality Pyramid as an aligned model of care, you can help improve overall patient health through our world-class clinical initiatives. Learn more about DaVita’s clinical innovation that supports our physician partners in their delivery of high-quality of care.